How to Use MightyCall & Virtual Phone Systems?
. Published on April 7, 2018. MightyCall is a virtual phone system, which means that the number you get when you sign-up is not attached to a sim card or a phone or anything physical. This is possible through cloud technology, which in the virtual phone number industry is also called VOIP technology (Voice Over Internet Protocol). In terms of flexibility, this allows you to connect and use your virtual phone number anywhere you go, ensuring you don’t ever miss a call. This is because the system (in MightyCall’s case) supports calls through either a Wi-Fi connection or a traditional landline (you can choose whichever you prefer depending on the situation). That combines to cover about 99% of the populated area in the United States—essentially guaranteeing your coverage no matter where you go. With some of the technical jargon, this may seem a bit intimidating, but most virtual phone systems don’t require hardware or advanced setup. You don’t need to install phones, mess with your wiring or phone lines, or even buy anything physical. You’re simply getting a service that you can take and use anywhere—which is particularly easy with the mobile version. For small businesses that don’t want to deal with the upkeep of a physical phone system or entrepreneurs who are constantly on-the-go, virtual phones act as a powerful and modern replacement for office phones. In terms of setting up your MightyCall account to maximize your business, there are both built-in and complementary features that work to provide the system’s capabilities. The system is dynamic, so depending on who is calling, when they’re calling, or why they’re calling, you can configure it to automatically send the call to the desired extension/person. 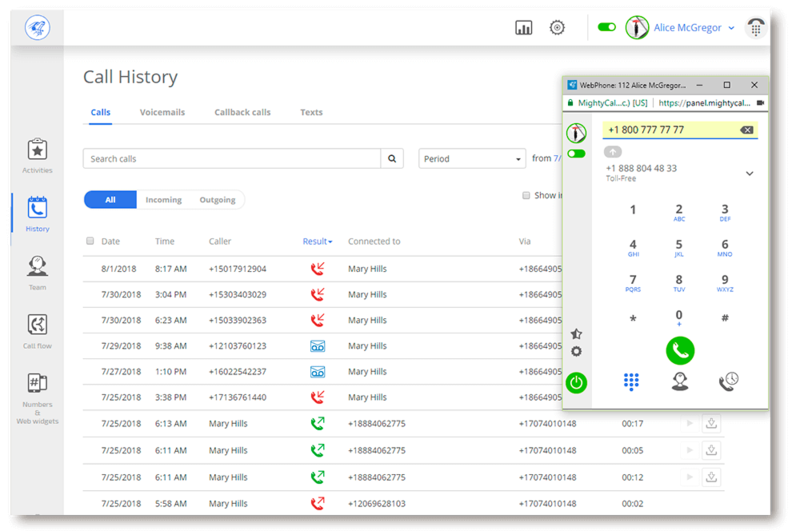 Since your virtual number isn’t tied to a device, you can also use it on any and as many devices as you want; this lets you set your call flow as well as the call distribution among those devices. MightyCall has 4 different distribution methods—simultaneous, circular, a predefined sequence, or to the freest person—to give you an additional way of controlling who gets what call. Both of these features work in conjunction with your auto attendant, which relays necessary information and call menus to callers and then automatically routes every call accordingly. We know flexibility is key, and the webphone, a MightyCall exclusive feature, lets you initiate calls straight from a computer. This feature allows you to easily communicate with not only clients, but your staff too. The best part about the webphone however is how it saves you money, since you only need WIFI to make a call. For incoming calls, you call enable your Caller ID to always show your business number, so it’s clear when a business call comes in. Additionally, Caller ID lets you brand your business when you call other people, so instead of your number popping up on someone else’s Caller ID, they can see your business name or tag. And that doesn’t just apply to you. Every MightyCall plan offers unlimited user extensions so you can organize your employees or colleagues into your call flow to decrease wait time and utilize everyone in your team. You and your employees will always be reachable, but just because you now can be on the clock at all times doesn’t mean you have to. With business & non-business hours, you can set the working hours of each business number to give yourself a break. During those non-business hours, the auto-attendant will route calls either to voicemail or to the extension of an employee who is currently holding business hours. During business hours, if you’re swamped, you can set your personal status to ‘Do not disturb,’ which will make the auto-attendant automatically skip you in call routing. If all of your employees are busy, there is a call queue with holding music (it’s a bit clichéd, but it’s much better than hearing white noise on hold) as another way to save calls. Training your employees to use the system is simple as well. To be honest, there isn’t anything vastly different about fielding a business call on a virtual phone number than a normal number. However, with call recording and performance reports, supporting your staff and helping them improve is infinitely easier. You can see exactly how they interact with customers and how effectively they sell. This can lead to great future training material for your business. If your company has a website, that should be included in your daily operations too. contact us widget – indicates all your contact details. You can put the widgets on any page, plus, you can customize and move it around your site using the drag-n-drop editor. Virtual phone systems account for every step of the caller’s journey. From the second someone dials your business number, the way the call is received, greeted, routed, and analyzed afterwards is well-planned and executed to maximize both your time and the caller’s time. When you add in the array of features MightyCall comes with, you get a uniquely versatile communication center that requires little upkeep but has huge cumulative benefits. 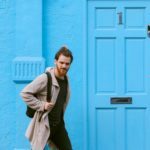 Whatever industry your business is a part of, here’s a simple strategy to turn classic “customer experience” theories into an updated practical approach sure to impress your clients. Call recording is simple: when you make or receive calls, your phone system records your calls if you have the option to record inbound/outbound calls selected.